Your garden should not only be beautiful to look at but also a dynamic, balanced haven for all creatures (and plants) big and small. I hope this book will encourage you to embark on a journey of discovery, a journey that will add a fascinating new dimension to your gardening experience. Start by closely observing your garden and its inhabitants. 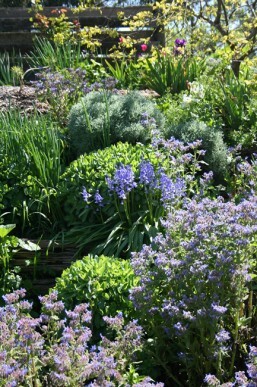 Everything in your garden depends on the other garden occupants and interacts with them. From the lowliest worm, centipede and ant … beetles, caterpillars and bugs … to frogs, lizards and birds … and finally to you. Your observations will show you the complexity and fragility of your garden ecosystem and some of the astonishing relationships that exist between insects and plants. Forget about bombarding everything that moves with a cocktail of the latest pesticides. Instead, experiment with growing various masking and insect-repellent plants as well as plants that attract predators into the garden. Gradually you will build up a complete ecosystem where plants, pests and predators live in balance and remedies are needed only when this balance is upset. By Gail Thomas for Australian Horticulture. If the pests are taking hold, this useful reference has plenty of quick and easy organic solutions to getting the upper hand in both the garden and home. With a host of ideas, strategies and answers this new revised edition has been updated and expanded, documenting more than sixty relevant plants along with traps, barriers, sprays and more to assist in addressing all manner of pest problems while maintaining a healthy balanced lifestyle and garden. 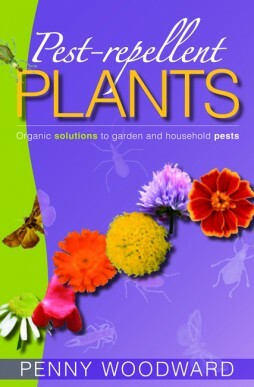 Penny Woodward who has a wealth of knowledge, having penned seven herb and garden related books has divided the plants and recipes in this volume into four categories; those that will kill pests, actively repel them, those that can mask the scents of plants targeted by pests and those that will kill or control fungi and bacteria. Importantly it is imperative to take a holistic approach in maintaining a balance between pests and predators and the book also features tips and safety guidelines when making and using homemade pesticides. My new book has finally arrived on the bookshelves around Australia. This is the second edition of the book of the same title that sold more than 20,000 copies with three reprints. This edition is completely updated with new information and new photographs. It covers the philosophy of pest-repellent gardening, that the garden should be a haven for all creatures and plants, big and small, not a battle ground. That sprays that kill (even organic ones) should be a last resort. That gardeners need to concentrate on healthy soil and healthy plants, as well as a diversity of planting, including predator attracting plants. We also need to provide homes and food for frogs, birds, lizards and bats, all of which feed on pests. Then the book looks at masking, repelling and killing plants and their numerous uses. As well as other solutions such as traps, trickery, netting and barriers to keep pests away from our precious plants. And common household items that are organic and can also be used against pests: soap, molasses, coffee, bicarbonate of soda, copper, sulphur and even water, to name but a few. The final section looks at the pests.